The U.S. Food and Drug Administration (FDA) today approved SD-809 (deutetrabenazine), the second drug approved for use in the United States to treat chorea in Huntington disease (HD), a rare, inherited neurodegenerative disorder. The approval was based on positive results from the First-HD study, a Phase 3 clinical trial which was led by the Huntington Study Group (HSG) on behalf of Teva Pharmaceuticals. In the double-blind, placebo controlled trial, deutetrabenazine significantly decreased chorea, the involuntary movements that many individuals with HD experience. The results were published in JAMA, July 2016. “We are so grateful to the patients and families who made this development possible by participating in this ground-breaking trial. 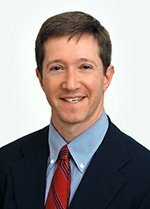 Trial participants are the key to bringing new treatments to the entire HD community,” said Samuel Frank, MD, Huntington Study Group’s principal investigator for First-HD and associate professor of Neurology at Beth Israel Deaconess Medical Center/Harvard Medical School. 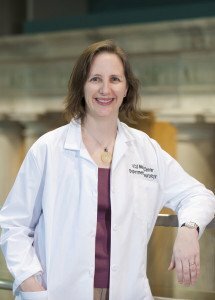 Claudia Testa, MD, PhD, associate professor of Neurology at Virginia Commonwealth University served as the co-principal investigator. Most individuals with HD experience chorea during the course of the disease. Huntington disease is an autosomal-dominant, inherited disease that usually manifests in people in their 30s and 40s, though some people are affected as early as childhood and others experience disease symptoms much later in life. The disease brings with it an array of symptoms besides chorea, including dystonia, cognitive problems, changes in personality, and psychiatric problems like depression. Because HD is autosomal dominant, each child of a person with HD has a 50 percent chance of inheriting the genetic change that causes the disease from their affected parent, whether that parent is their mother or father. 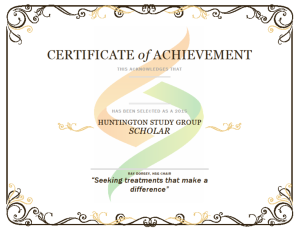 For more information about HD, visit www.huntingtonstudygroup.org. Deutetrabenazine is structurally related to tetrabenazine with deuterium atoms placed at key positions in the molecule, prolonging plasma half-life and reducing metabolic variability, without changing target pharmacology. Deutetrabenazine is the first FDA approved compound with deuterium substitution. Much of the clinical work that led to the approval of deutetrabenazine was carried out by the Huntington Study Group, a non-profit network of 400 Huntington disease experts from more than 100 medical centers throughout North America, Europe, and Australia who are dedicated to seeking treatments that make a difference for people and families affected by the disease. For more information, visit www.huntingtonstudygroup.org. A second deutetrabenazine trial, ARC-HD, which has completed enrollment, is investigating the safety, efficacy, and tolerability of the drug when individuals with HD switch from tetrabenazine to deutetrabenzine and the safety of longer term exposure. This open-label trial is also being led by the Huntington Study Group and the Clinical Trials Coordination Center for Teva Pharmaceuticals. Teva is also investigating the potential of deutetrabenazine to treat tardive dyskinesia, a disorder that causes involuntary and repetitive movements, and for tics associated with Tourette syndrome. People with Huntington disease experienced improvements in chorea while taking deutetrabenazine (SD-809) compared to placebo, according to a paper published today in the Journal of the American Medical Association (JAMA). Although the topline results of the trial have been released previously, the complete peer-reviewed publication about the First-HD clinical trial is now published in a premier medical journal. First-HD enrolled 90 patients at 34 HSG research sites between August 2013 and August 2014. 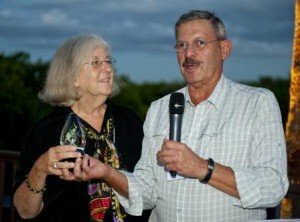 The trial followed patients for 12 weeks on the medication and measured their chorea, as well as patients’ and clinicians’ impression of improvement. At the end of May, Teva Pharmaceuticals announced that the U.S. Food and Drug Administration (FDA) asked for more data on deutetrabenazine, which had been under review to treat chorea associated with HD. The request for more data is common when the FDA is asked to approve new medications, and this is the first deuterated compound to be reviewed by the FDA. Michael Hayden, M.D., Ph.D., Teva’s president of Global R&D and chief scientific officer said Teva plans to respond to the request in the third quarter of 2016. Much of the work that led to the completion of the First-HD trial was carried out by the HSG, a non-profit network of 400 Huntington disease experts from more than 100 medical centers throughout North America, Europe, Australia, New Zealand, and South America who are dedicated to seeking treatments that make a difference for people and families affected by the disease. 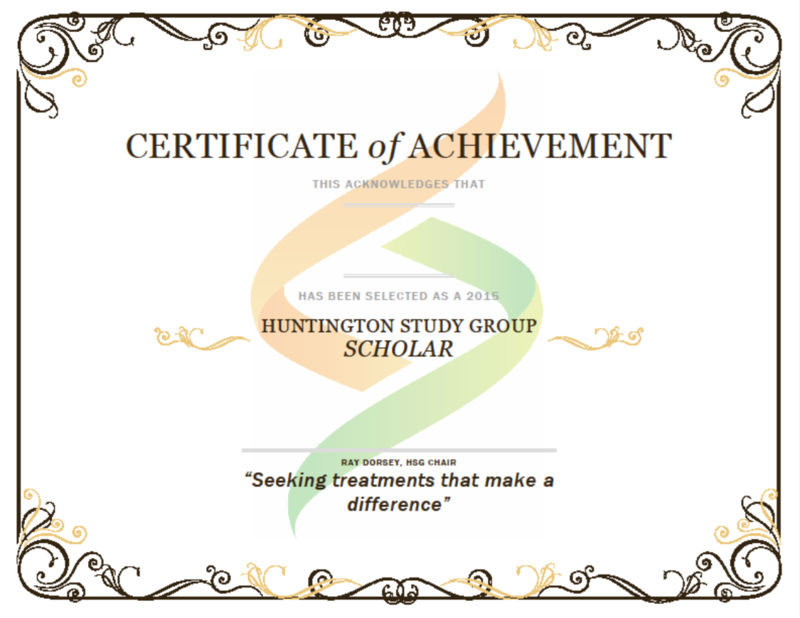 For more information about the Huntington Study Group, visit www.huntingtonstudygroup.org. Scientific, technical, logistical, and analytical support for First-HD was provided by the University of Rochester Clinical Trials Coordination Center (CTCC). 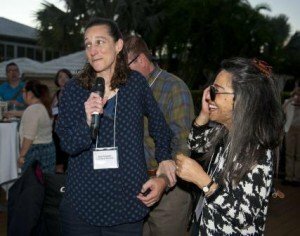 The Clinical Trials Coordination Center is part of the Center for Human Experimental Therapeutics (CHET) and is a unique academic-based organization with decades of experience working with industry, foundations, and governmental researchers in bringing new therapies to market for neurological disorders. For more information about the Clinical Trials Coordination Center, visit http://www.ctcc.rochester.edu. Teva Pharmaceutical acquired deutetrabenazine through its purchase of Auspex Pharmaceuticals last year. Deutetrabenazine is an investigational, oral, small-molecule inhibitor of vesicular monoamine 2 transporter, or VMAT2, that was granted Orphan Drug Designation for the treatment of HD by the FDA. A second deutetrabenazine trial, ARC-HD, which has completed enrollment, is investigating the safety, efficacy, and tolerability of the drug when individuals with HD switch from tetrabenazine to deutetrabenzine and the safety of longer term exposure. This trial, which includes participants who completed First-HD, is also being led by the HSG and the Clinical Trials Coordination Center for Teva Pharmaceutical Industries. Teva is also investigating the potential of deutetrabenazine to treat tardive dyskinesia, a disorder that causes involuntary and repetitive movements, and for tics associated with Tourette syndrome. Vaccinex Inc. completed enrollment of cohort A in its SIGNAL Clinical Trial, a randomized Phase 2 study to assess the safety, tolerability, pharmacokinetics, and efficacy of VX15/2503 in subjects at risk for or with early signs of Huntington’s Disease. Read the press release. JERUSALEM–(BUSINESS WIRE)–Apr. 24, 2014– Teva Pharmaceutical Industries Ltd. (NYSE: TEVA) announced today enrollment of the first patient in The Pride-HD study, a phase II, randomized, double-blind, placebo-controlled global study designed to evaluate the impact of pridopidine, an investigational medication, on motor impairment in patients with Huntington’s disease (HD). 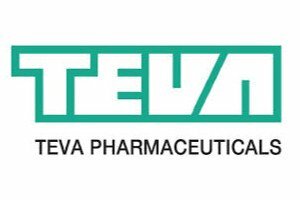 Teva Pharmaceutical Industries Ltd. is a leading global pharmaceutical company, committed to increasing access to high-quality healthcare by developing, producing and marketing affordable generic drugs as well as innovative and specialty pharmaceuticals and active pharmaceutical ingredients. Headquartered in Israel, Teva is the world’s leading generic drug maker, with a global product portfolio of more than 1,000 molecules and a direct presence in approximately 60 countries. Teva’s branded businesses focus on CNS, oncology, pain, respiratory and women’s health therapeutic areas as well as biologics. Teva currently employs approximately 45,000 people around the world and reached $20.3 billion in net revenues in 2013.